You may not create a link to this website from another website or document without www.catproblemsadvice.com’s prior written consent. Like many other Web sites, www.catproblemsadvice.com makes use of log files. The information inside the log files includes internet protocol ( IP ) addresses, type of browser, Internet Service Provider ( ISP ), date/time stamp, referring/exit pages, and number of clicks to analyze trends, administer the site, track user’s movement around the site, and gather demographic information. IP addresses, and other such information are not linked to any information that is personally identifiable. Google’s use of the DART cookie enables it to serve ads to users based on their visit to www.catproblemsadvice.com and other sites on the Internet. 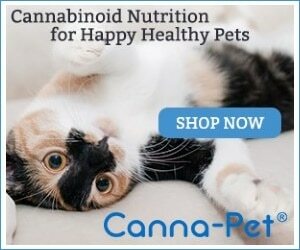 www.catproblemsadvice.com has no access to or control over these cookies that are used by third-party advertisers. This statement applies to catproblemsadvice.com website and services that display or link to this notice (“Services”). catproblemsadvice.com prohibits the use of the Services in any manner associated with the transmission, distribution or delivery of any unsolicited bulk or unsolicited commercial e-mail (“Spam”). You may not use any Services to send Spam. 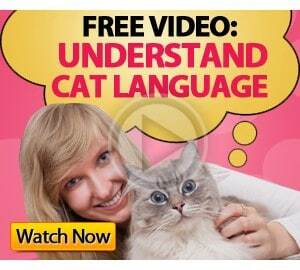 You also may not deliver Spam or cause Spam to be delivered to any of catproblemsadvice.com’s Services or customers. catproblemsadvice.com does not permit or authorize any attempt to use the Services in a manner that could damage, disable, overburden or impair any aspect of any of the Services, or that could interfere with any other party’s use and enjoyment of any Service. If catproblemsadvice.com believes that unauthorized or improper use is being made of any Service, it may, without notice, take such action as it, in its sole discretion, deems appropriate, including blocking messages from a particular internet domain, mail server or IP address. catproblemsadvice.com may immediately terminate any account on any Service which it determines, in its sole discretion, is transmitting or is otherwise connected with any e-mail that violates this policy. Nothing in this policy is intended to grant any right to transmit or send e-mail to, or through, the Services. Failure to enforce this policy in every instance does not amount to a waiver of catproblemsadvice.com’s rights. catproblemsadvice.com respects the intellectual property of others. If you believe that your work has been copied in a way that constitutes copyright infringement, please follow our Notice and Procedures for Making Claims of Copyright Infringement below. Identification of the material that you claim to be infringing and information reasonably sufficient to permit catproblemsadvice.com to locate the material. Information reasonably sufficient to permit catproblemsadvice.com to contact you, including your address, telephone number, fax number and, if available, an electronic mail address. catproblemsadvice.com will respond to any DMCA complaints in a timely manner. Should you be the copyright holder of a specific piece of content featured on this site without your permission, catproblemsadvice.com remove it in a timely manner once notified.